New boreholes can be added to the model using an "Add graphically" or "Add textually" buttons. 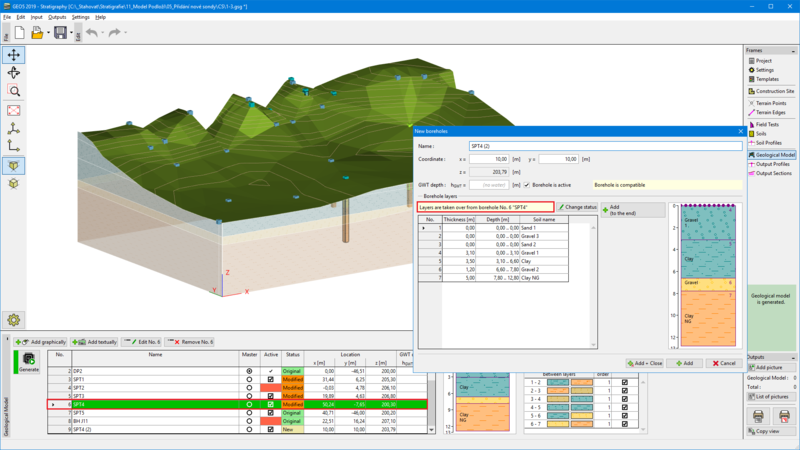 If there is no borehole selected, when "Add" button is used, the new borehole is generated from the geological model. 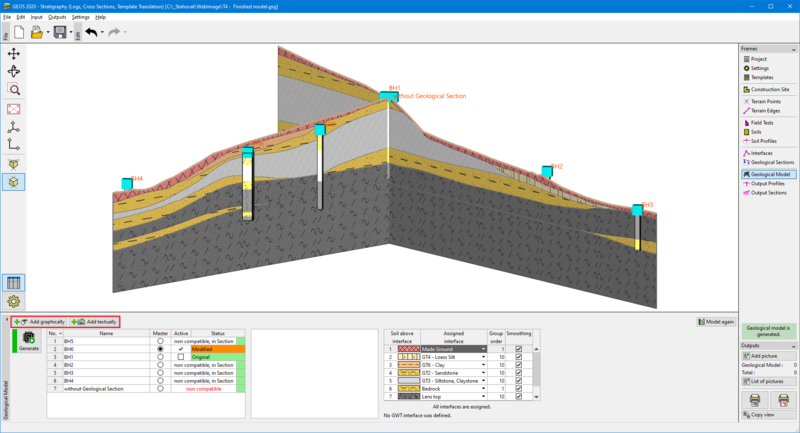 Adding a new borehole with automatical generation of layers according to the geological model is important for editation of the geological model (the model is edited using boreholes - if there is no borehole in place of the model where we want to edit it, it is necessary to add a new borehole at this location) or soil lens creation. If there is a borehole selected when "Add" button is used, the new borehole is a copy of selected borehole. Adding new borehole, that is a copy of the existing one, is used in the examples: Stratigraphy Model with Layers following Terrain, Creation of Soil Lens, Modelling of Faults.